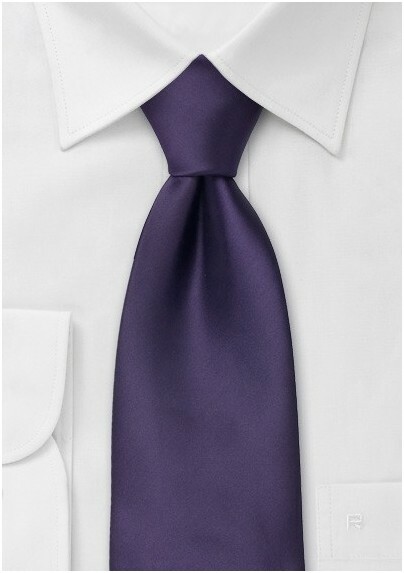 Don't let this deep, regal purple tie get away. This tie packs a stylish punch in both color and craftsmanship. This tie is designed by the Puccini Design House and is made from a high quality, wrinkle free microfiber. 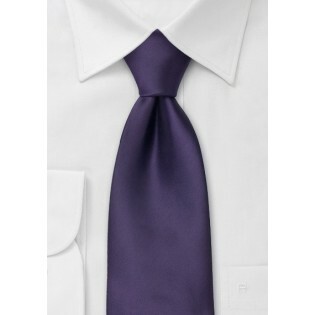 This saturated purple tie is ideal for business casual affairs and formal events. For a less formal look, pair this tie with a micro check shirt, medium gray suit and black wingtips. For formal wear, pair this tie with a black suit.